College football coaches at major universities are increasingly creative when pursuing a top-tier recruit. 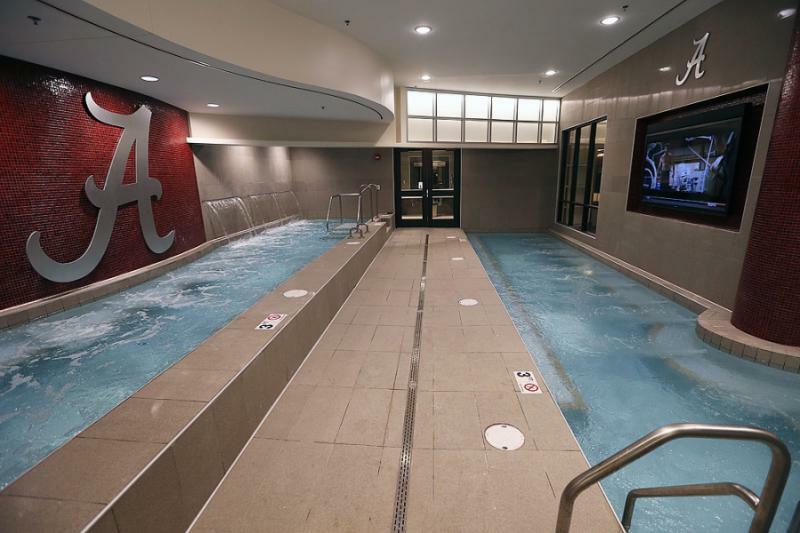 At the University of Alabama, where the accomplished football program and championships speak for themselves, the football team has newly renovated facilities that provide exceptional accommodations for the team. In August 2013, the Alabama Crimson Tide’s $9 million renovation of the Mal Moore Football Building was completed. 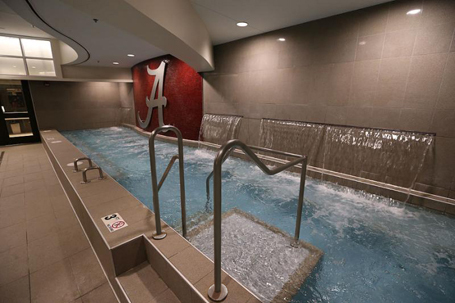 Integrated within the new locker room are two new hydrotherapy spas used by players before and after football practice or games. Other upgrades include a team meeting room seating 212, position meeting rooms and a player’s lounge. The hydrotherapy spas include one cold spa and one hot spa, with the hot spa having the capability to be converted into a second cold spa. The hot spa operates at temperatures from 102 to 106 degrees while the cold spa operates from 60 to 65 degrees. 35 ft. by 8 ft.